Asthma can be debilitating and needs to be kept in check. Our expert team of physicians and care professionals provide a wide array of services to effectively manage Asthma. Call our Office or Request An Appointment Online To Get the Relief You Need! Asthma is the most common chronic disease of childhood. Unfortunately, there are about 6 million children under the age of 18 with asthma. And more and more people are being diagnosed with asthma - in part because of diagnostic capabilities (i.e. health care professionals are more likely to suspect a persistent wheeze or a cough may actually be asthma). With asthma becoming more recognizable and/or common, it’s important to know what to do if asthma symptoms appear and or/worsen, particularly to the point of an emergency. Regular doctor’s visits should be made, and treatments should be adjusted if needed. 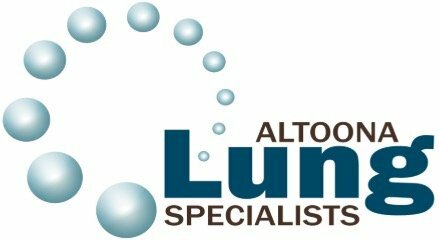 At the Altoona Lung Specialists located in Lung Disease Center of Central Pennsylvania, we offer a go-to center for asthma care, and offer a majority of necessary testing in-office to alleviate the need to go elsewhere for any part of your care. Call 814-946-2845 or book an appointment online! Asthma is a chronic disease of the airways that makes breathing difficult. With asthma, there is inflammation of the air passages that results in a temporary narrowing of the airways that carry oxygen to the lungs. Can Asthma Lead to COPD? Untreated asthma or undertreated asthma may lead to Chronic Obstructive Pulmonary Disease COPD. Additionally, smoking plus asthma is a recipe for emphysema and chronic bronchitis - both of which are COPD-related illnesses. Is there a family history of asthma, eczema (a skin condition caused by allergies), nasal polyps (bumps on the lining of the nose), or hay fever? What symptoms do you have and what time of day do asthma attacks occur? Are attacks worse at night? How often do you have attacks and how long do they last? What physical signs do you have? Signs can include a cough, mucus in the airways, shortness of breath, allergic rhinitis (hay fever), raccoon eyes (dark circles), allergic creases or nasal polyps. What is your age? Asthma can start at any age but is more common in young individuals. Recurrent bronchitis and pneumonia should raise suspicions of the possibility of asthma. Is exercise a trigger? Is it the only time asthma occurs? How Can Patients Avoid Asthma Attacks? Exposure to triggers should be limited and any inflammation in the airways should be reduced. Avoiding tobacco smoke is very important as part of this process. A clean home environment should also be maintained. Keeping pets out of the bedroom and controlling dust and house dust mites are just a few of many changes to the environment that can help. Medications are not a substitute for avoiding contact with allergens and irritants. Medication should always be used in combination with environmental changes.